A ship carrying 25 tons of nuclear waste has departed from France bound for Australia, despite environmentalists sounding the alarm. The critics say the 'dustbin ship' is not fit to carry hazardous cargo. The BBC Shanghai departed this week from the port of Cherbourg in northern France with a load of nuclear waste. It originated at the Australian Nuclear Science and Technology Organisation (ANSTO) and had been shipped in the 1990s and early 2000s to France for reprocessing. Now the plant in Beaumont-Hague near Cherbourg is sending it back to Australia's Port Kembla, south of Sydney, to be eventually stored at the Lucas Heights nuclear facility, on the outskirts of the Australia’s largest city. But some environmentalists and legislators believe the vessel should not be used to handle the hazardous cargo at all and objected to its selection by the French nuclear firm Areva. They believe the 14-year-old ship with the waste on board would be a sort of floating Fukushima – unable to withstand a serious emergency. "Areva, almost bankrupt, are using a dustbin ship to carry waste, without any serious inspection!" Denis Baupin, a senior lawmaker with the French Green Party, tweeted. “It’s outrageous that the BBC Shanghai is heading towards Australia and it is not outfitted to safely carry nuclear waste,” said Emma Gibson, head of program for Greenpeace Australia Pacific. She added that the vessel owned by German firm BBC Chartering was "blacklisted by the United States because of its safety record." 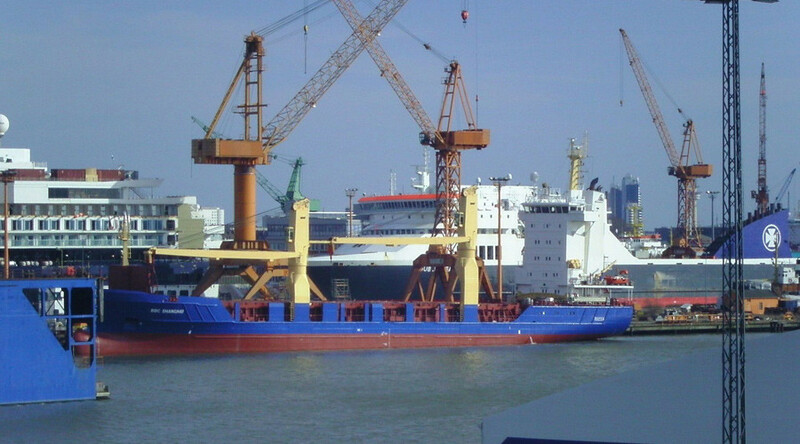 But Areva's external relations director Bernard Monnot told AFP that the ship was "not banned from ports in the United States, but banned from transporting material for the American government." ANSTO said BBC Shanghai went through “a full inspection carried out by both French maritime safety authorities and by the French nuclear safety regulator...” and that “the ship's seaworthiness was confirmed and certified." The ship with its dangerous cargo is to arrive in Australia on 27 November.